Royal Cabinet Company, a New Jersey-based custom cabinet manufacturer designs and creates some of America's finest custom cabinets. Whether providing kitchen cabinets through its dealers, or designing and installing cabinets for local clientele, Royal Cabinet is dedicated to creating custom cabinetry that ensures your kitchen will be Distinctive, Unique & Highly Functional. 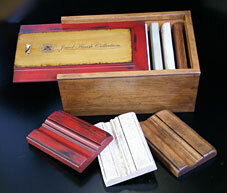 Visit the Royal Cabinet Blog to learn more about Custom Cabinetry for your home. 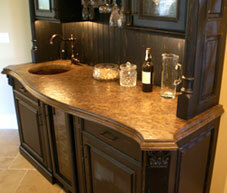 Visit Stonehenge Concrete Countertops for the perfect finishing touch to your kitchen or bathroom. This is our second consecutive year! 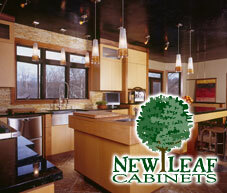 We are custom kitchen designers and fabricators creating luxury kitchens for our local Somerset / Hunterdon County area in New Jersey and for other locations through our dealer network. 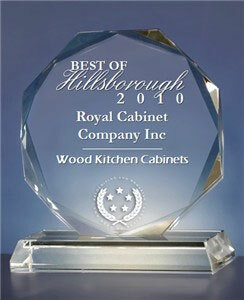 Royal Cabinet’s factory showroom is located in Hillsborough, NJ. We design and build high end kitchens, offices, libraries and wet bars for some of the most prestigious homes across America.